The Sr. Manager of ESH Management Systems will be responsible for the development, implementation, and maintenance of the Polypore ESH Data Management systems, Integrated Management Systems, Corporate ESH standards, and ESH auditing programs. This role serves as the primary ESH Management Systems contact for the organization and is expected to coach site ESH personnel on implementation, maintenance, and assessment programs. This position will report to the ESH Director. Responsible for developing and implementing an Integrated Management System that incorporates best practices across multiple EHS Management Systems (Responsible Care, ISO 14001, OHSAS 18001, etc.). Design, develop, author, and sustain Corporate ESH Standards and resources that incorporate US and relevant global and regional EHS regulatory requirements. Maintain awareness of US and relevant global and regional environmental, health, and safety regulations. Participate in ESH assessments and audits across the organization. Coordinate development of training programs that reduce risk and maintain compliance with regulatory and company requirements. Lead programs that enhance the use of the Learning Management System (LMS) and Computer Based Training (CBT) to improve ESH performance. Serve as the Subject Matter Expert (SME) for the ESH Data and Learning Management Systems, and collaborate with ESH and Operations personnel to influence implementation across the organization. Analyze key ESH metrics and provide trend data necessary to improve the ESH performance and compliance strategies. Support testing, updates, and deployment of ESH Data and Learning Management Systems and associated processes. Monitor and maintain data integrity by conducting various data audits, running ad hoc reports, and partnering with appropriate parties to resolve. Collaborate with functional and technical staff to coordinate integrations with vendors as well as internal applications. Manage relationships with external ESH Data and Learning Management System service providers. Note: this description is intended to provide a general overview of the position and is not an exhaustive listing of duties and responsibilities. Bachelor’s degree preferably in environmental safety and health, chemistry, engineering, or the physical sciences. Eight or more years of ESH experience in manufacturing facilities with progressively increasing responsibility, including multi-site responsibilities. EMIS application use and implementation experience is preferred. Strong written and verbal communication skills with ability to communicate effectively to diverse audiences across all levels of a global organization. Effective interpersonal skills with the ability to collaborate with team members to understand and develop tools and resources for ESH programs. Organized, with an attention to detail and accuracy. Technical writing including development of technical documents, procedures, and training presentations. Prior experience auditing environmental health and safety programs. Advanced proficiency in Microsoft Excel and demonstrated ability with other MS Office applications. Experience with Visio & SharePoint a plus. Ability to remain adaptive to a global corporate footprint and flex the work schedule as necessary to oversee project work or engage individuals in various regions. All potential candidates must be authorized to work for any employer in the United States. Employer sponsorship is not available. Ability to travel on occasion both domestically and globally for training or visiting other company locations (25%). Working within a general office environment 90% of time. Standing and walking for up to 10% of the time, the ability to climb ladders and elevated platforms, and walk a manufacturing facility in its entirety. Ability to work for periods of time within the manufacturing environment, including areas with hot or cold temperatures and require the use of PPE (respirator, etc.). Ability to lift up to 35 pounds and/or force necessary to push, pull, or otherwise move objects. 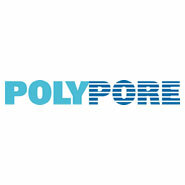 Polypore, an Asahi Kasei Group Company, has a broad portfolio of microporous membrane products with extensive capabilities utilizing proven proprietary processes and product technologies. The increasing demand for mobile and portable energy around the world continues to be a driving force in our growth. We are a leading worldwide developer, manufacturer and marketer of highly specialized polymer-based membranes used in separation processes. Our energy storage segment produces different types of membranes that function as separators in lead-acid batteries used in transportation and industrial applications and lithium batteries used in electric drive vehicles and electronics applications.